So, this year I totally jumped on the "New Year, new you!" bandwagon. I started a new fitness program starting January 2nd. After I had Helen, I waited over a year to start working out again. This time around, I wanted to jump into it sooner. BUT, it was more frustrating, and I kinda gave up this fall. You see, I developed a diastasis recti (a separation of the abdominal muscles) during both of my pregnancies. Last time, I did a little research and learned that you should avoid crunches if you have a DR. So I followed normal, non-diastasis-specific exercise programs and tried to avoid crunches. This time around, I did some deeper digging a realized that there are a LOT more exercises that you should avoid if you have a DR. Planks, push-ups, pull-ups, and twisting are all no bueno. Most fitness programs include those exercises. I know I could just skip or substitute those movements, but I HATE following a program that I can't actually, well, follow! 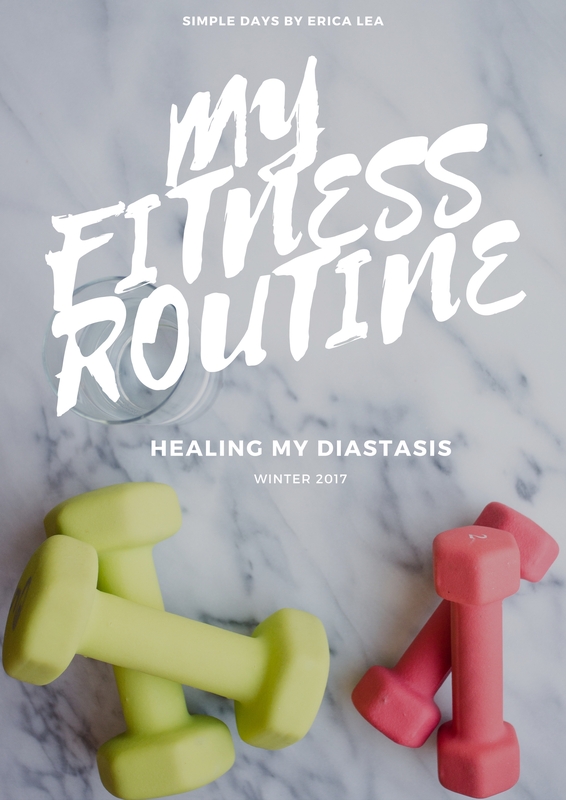 So I decided to start from the beginning, and really try to heal my diastasis. I went for the MuTu system, which is a 12-week program designed specifically to help you heal your diastasis recti. Hopefully I can get rid of my diastasis recti so I can move on to more advanced workout programs. My dream is to be able to do a pull-up, but I can't start training until I'm healed. I'm basically following the MuTu program. For the first few weeks, you simply do a 17-minute ab/stretching workout, plus a daily walk outside. It has been in the teens BELOW zero here in northern Minnesota, so I've been skipping the walk. Now it's a lot warmer, so I'll be starting up again. I try to do the workout routine every day. That way, I actually do it about 5 days a week. Life gets in the way. I'm also trying to be more mindful about my posture, and making sure to squat instead of bending over to pick something up. I'll check in at 4 weeks and we'll see if there's any change! So there's my current fitness routine! Let me know if you'd like a more detailed post about diastasis recti. Would love to hear more about what you are doing. I also have diastasis recti (among other issues) but my midwife told me it's not super severe. Regardless, it will be good to find out more about what I can do about it. I'll have to do more updates! Yeah, mine isn't super bad either, but I know that I'm not supposed to certain exercises (like pull-ups) until I heal it. Hopefully this program works! I have a 3 finger diastasis, and it was pretty deep. My midwives have all commented how wide open my belly is when I'm pregnant. I joined fit2b, which I love. I've heard a talk by the founder of MuTu and it sounds great too! The ladies from The Tummy Team (another DR and pelvic floor program) and fit2b always talk about how consistency wins over intensity....and those little posture things are the hardest for me, too! Especially because even my idea of good posture, from my ballet days, is not good alignment. My diastasis looks like wayyy more because of the weight I have as well, but I am eager to heal it. I just bought a splint and hope to wear that and work hard at the exercises for a good period. Good luck with yours!